Tulip shaped Magners Irish Cider branded pint glass with official Magners logo on the front. 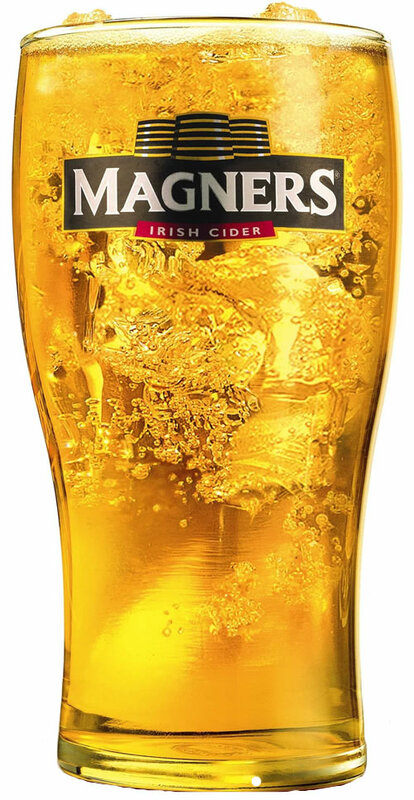 This high quality, conical glass that boasts a nucleated base to keep the bubbles lively allowing your customers to enjoy the high quality Magners Cider taste for longer. Enjoy Free UK Delivery on these Magners Cider branded Pint Glasses when you spend or more online! (Note: free delivery applies to UK mainland addresses within zones A and B only and excludes Upper Scotland, Scottish Highlands and UK Islands).